1. 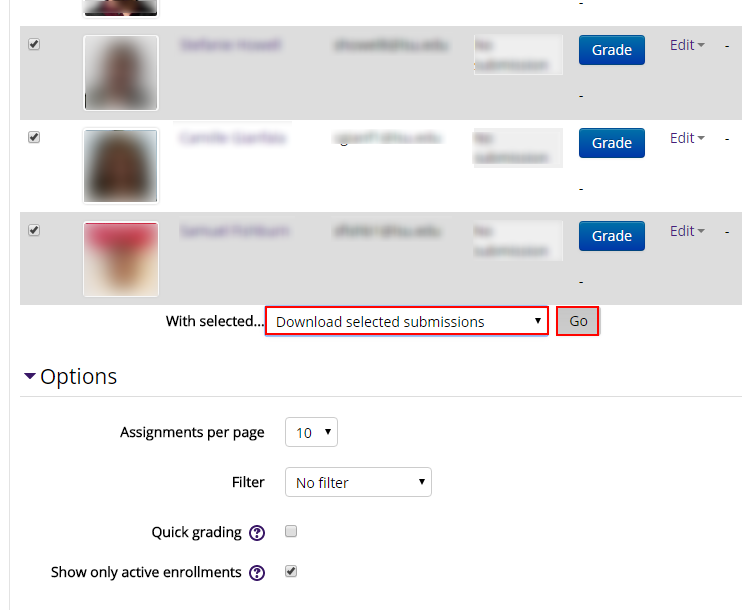 Select the assignment from your Moodle page. 2. Select View all submissions at the bottom of the page. 3. Select the submissions from the students. Then click the With selected... box and select Download selected submissions. Click Go.